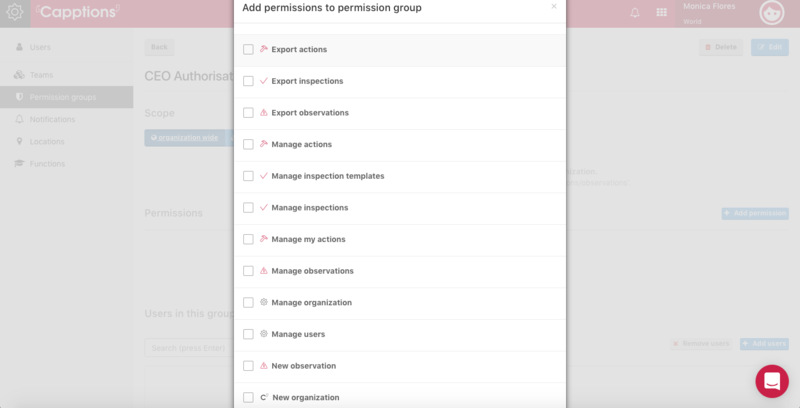 What are permission groups and how do I use them? 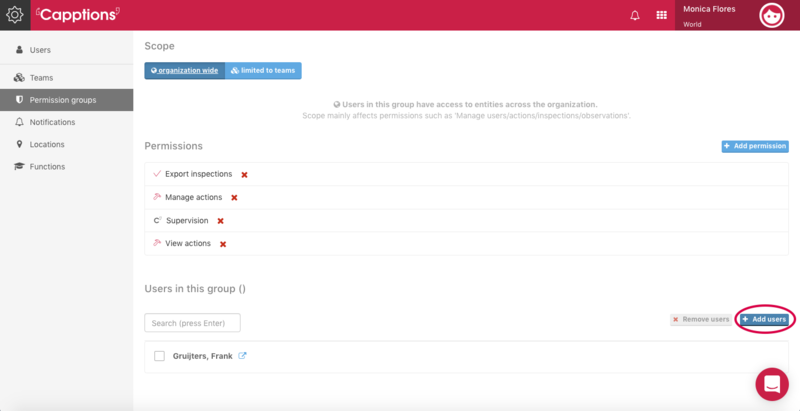 Permission groups can used to group/club permission and assign it to a set of users. An authorization group can have multiple permissions and a user can have multiple authorizations as well. You can take a look at our help video to show you how permission groups and team structures function! For a more detailed description, please read further. If you want to enable the CEO of your organization to possess the ability to view reports and export case files/inspections; you can do so by creating a new authorization group from the 'Organization Settings' functionality. Click on 'Permission Groups', and then 'Add'. 2. Give it a relevant name and Save. Now assign the relevant users by clicking on 'Add users', and choose users from your organization.